This work explores the dynamics of the metamorphosis that the classical fairy tales have undergone throughout the centuries. Such analysis is conducted from a literary and from a memetic point of view, through an investigation that aims at outlining the role of the fairy tale within the relationship between man's urge for self-narration and the performance of such urge. 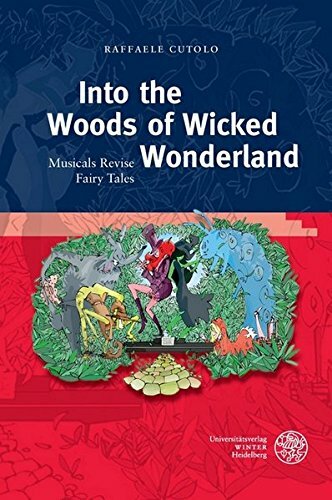 It specifically focuses on the evolutionary process that links the Grimms' collection, Carroll's Alice books, Baum's 'The Wonderful Wizard of Oz', and Maguire's 'Wicked: The Life and Times of the Wicked Witch of the West' to the musicals that stem from them: Stephen Sondheim's 'Into the Woods', Stephen Schwartz's 'Wicked, ' and Frank Wildhorn's 'Wonderland.' By taking into account the intertextual, intermodal, and interpersonal exchanges enabled by these three revisions, the book explores the journey of the Self and its everlasting search for an answer to the question that the Caterpillar asks Alice: "Who are you?